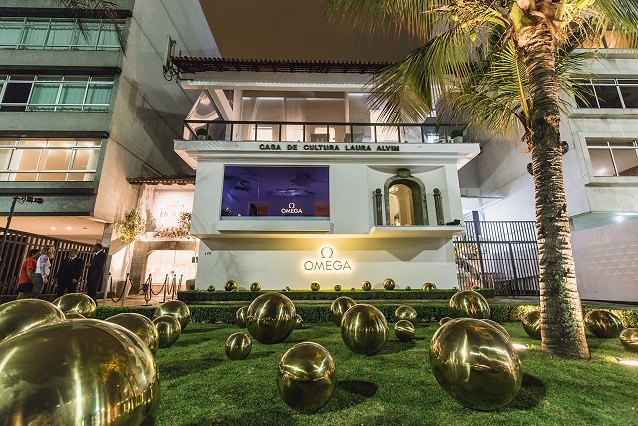 To find the perfect blank canvas for OMEGA’s exclusive members-only club at Rio 2016, the search led to a building that is renowned amongst Rio's artists and intellectuals: Casa de Cultura Laura Alvim. Rich in bohemian history and culture, Casa De Cultura is a simple, beautifully-designed building that makes excellent use of natural light, classic architecture and unforgettable views out across one of the world’s most famous beaches. 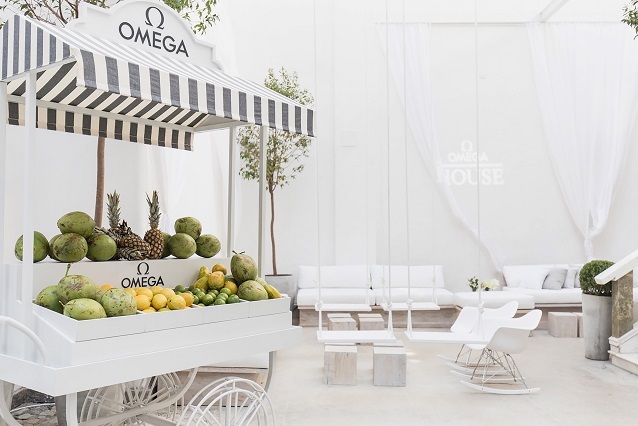 Here, beside the swaying palm trees and black and white mosaic sidewalks of Ipanema, the location has been reimagined and transformed into the setting for OMEGA HOUSE. 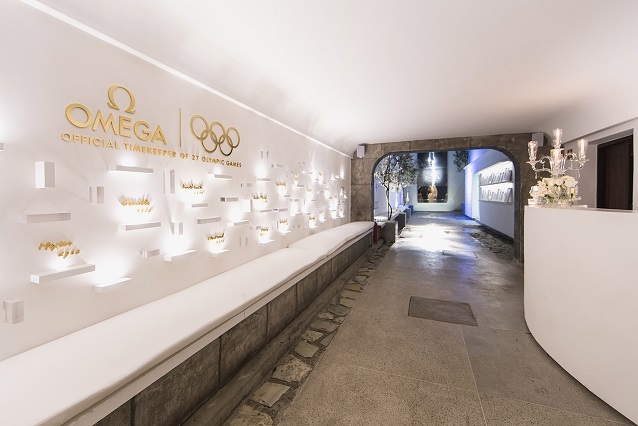 For the duration of Rio 2016, each individual room will serve as a celebration of the Olympic Games as well as the many chapters of OMEGA’s diverse story. Indeed, exploring the walkways and spaces around the house could well make a guest feel like Alice, on an intriguing adventure through wonderland. 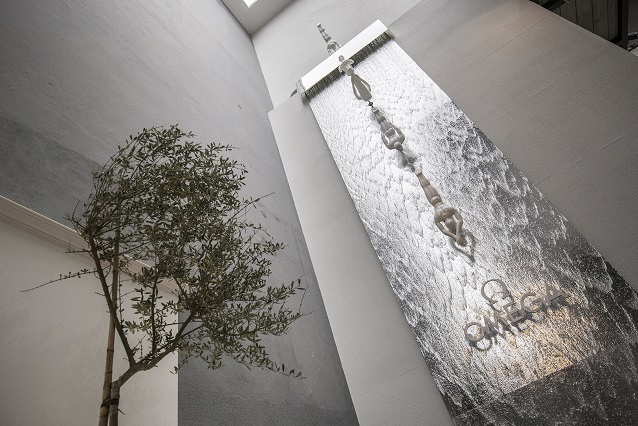 As you are welcomed inside OMEGA HOUSE, the entrance hall is lined with olive trees, a clever reminder of the Olympic Games origins. These lead to a breathtaking 9m waterfall, where a series of statues show the perfect dive formation into a pool below. Along the walls, there is a golden timeline that shows the incredible path of OMEGA’s Timekeeping history. 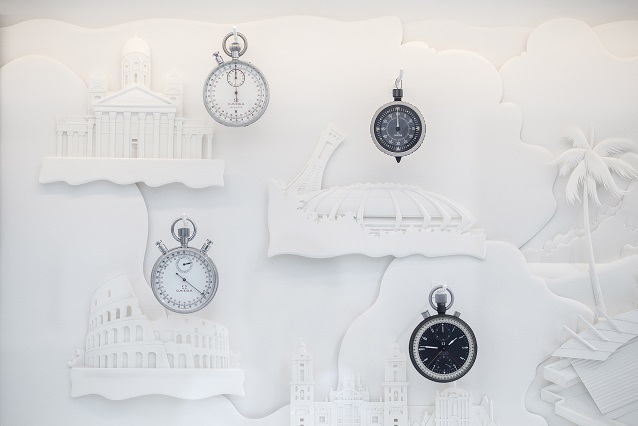 There is also a unique artwork created from paper that showcases OMEGA’s classic and Olympic Games watches, as well as some of the most famous Olympic Games host city landmarks since 1932. The main area where guests can mingle is a spacious patio that best represents the overall theme of the House. Inspired by the cool, whitewashed luxury that you might find in Miami, Ibiza or Mykonos, the Patio of OMEGA HOUSE is draped in drifting white curtains that hang from spectacular arched beams in between typically Grecian pillars. It’s clear that the natural architecture of the existing building has been used to great effect. At one end of the Patio, a fountain gently flows while large mirrors give the area a greater sense of depth. At the other end, the bar is set below a giant screen that displays live Olympic Games action happening around Rio. 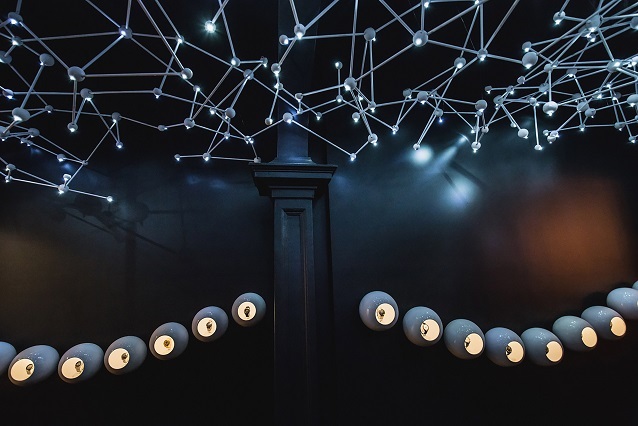 To offset the white-on-white theme, a collection of black and white photography is displayed on the walls showing highlights from OMEGA’s history of timekeeping. For uber-relaxation, a small section beside the Patio has been set aside with large swings and modern rocking chairs. It’s a perfectly alternative spot to enjoy a drink with friends. At the top of the stairwell, another section of OMEGA HOUSE begins. This is where guests can dive into the different sides of the brand. First to meet you is a series of photographs detailing OMEGA’s Community Countdown with Viva Rio. Along with showing the 12 social projects, there are also three photographs taken by the students of the Viva Favela Community Correspondent Course. As part of OMEGA’s partnership with Viva Rio, students were invited to enter their pictures in a special competition. Capturing the theme of sport in the favelas, these are the winning entries. The first of OMEGA’s dedicated brand areas is designed in total contrast to the ground floor below. Reflecting the brand’s history in space exploration, guests can get comfortable on velvet sofas beneath a canopy of stars; a unique installation created just for the occasion. Along the walls, there is a trail of OMEGA Moonwatches, from vintage models that went to the moon to modern ceramic timepieces. For people walking past on the street, the large upstairs window of OMEGA HOUSE will look like an aquarium of dancing revelers. 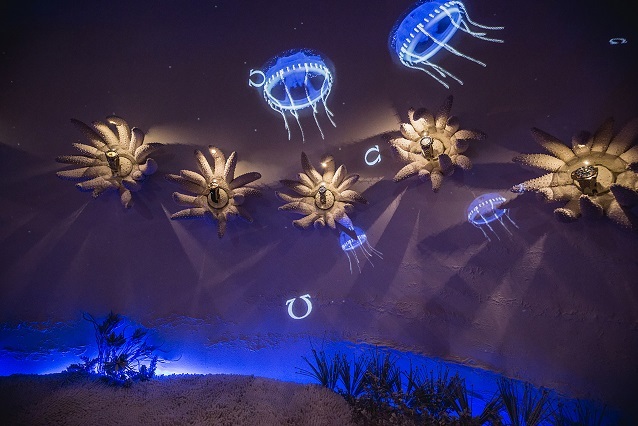 This is the Ocean Room, where the theme of the sea has been fantastically brought to life. OMEGA’s idea for a coral reef DJ booth and ocean-inspired decoration has been crafted from special materials by the same people who build Rio’s iconic carnival floats. There are also glass balls inside the coral that showcase some of OMEGA’s greatest ocean-inspired watches. At night, the room turns blue, transporting dancers to an underwater world with mesmerising projections across the walls. Of course, from here, the views across the Atlantic Ocean are a “selfie” taker’s dream. Celebrating 168 years of OMEGA watchmaking, this room takes guests into the intricate inner-workings of a timepiece. 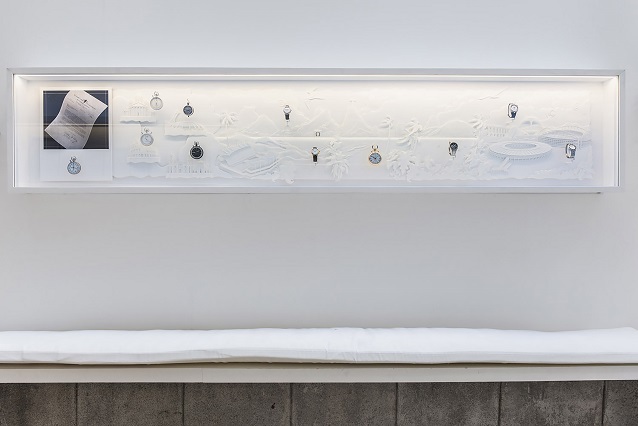 145,000 custom-made watch parts have been layered over the walls while bell jars on the far wall display vintage OMEGA watches, watchmaking tools and other curiosities. A chandelier of hanging vintage bulbs illuminates the room, just enough for guests to find the central bar, which has been built from luscious ebony wood. 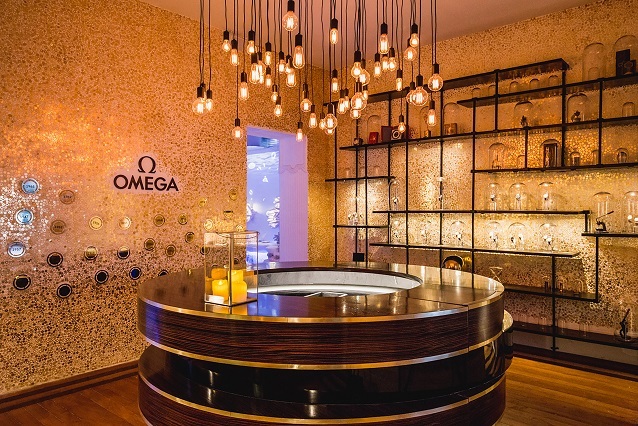 For those who love to learn with a drink in their hands, there is also a watchmakers table and anti-magnetic display to give an insight into OMEGA’s reputed innovation. Any woman would love to have a personal space like this. 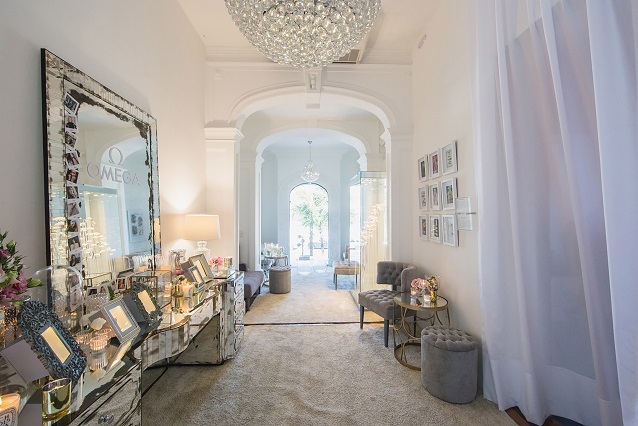 Designed like a private make-up room, there is tailor-made furniture for relaxing, delicate glass tables and a classic dressing table complete with an aging mirror. Around the walls, some of OMEGA’s best vintage advertising for women is on display. Many of these were created by well-known artists such as Paul Helleu, Lim and René Gruau. 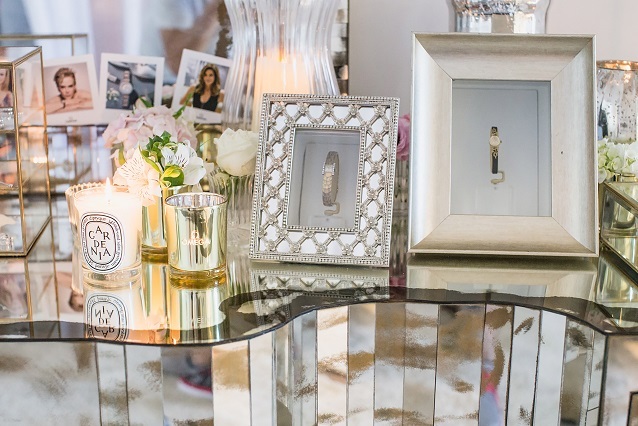 Continuing around the room, beautiful OMEGA timepieces are set amongst white metallic roses and again, an arched window of the Women’s Room looks out on the sparkling water and sands of Ipanema Beach.